For the fourth year in a row, Commissionaires ranks in the top half of Forbes list of Canada’s Best Employers of 2019. More significantly, Commissionaires is the only security company to rank among Canada’s best employers. 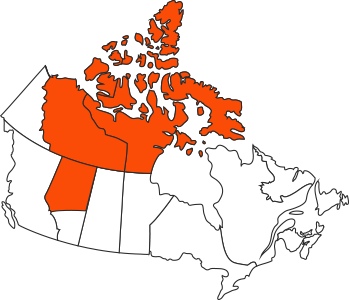 When the Northern Alberta Commissionaires lost a major client, they examined their health and safety program, and decided to take action. 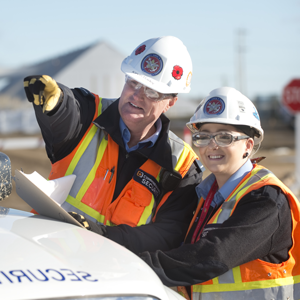 In this article, published in the Winter 2018 issue of WCB-Alberta’s WorkSIGHT magazine, Commissionaires share their lessons learned about the value and importance of a health and safety program. Read the article. Recently, staff at Commissionaires Northern Alberta Division HQ had a special holiday contest and the results were terrific! 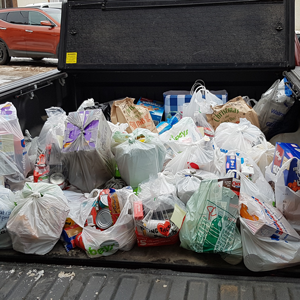 This year we raised $280 for and a total of 177 kilograms (390 lbs) of food was donated to the Edmonton Food Bank. This was a tremendous effort made by HQ staff. The statistics are overwhelming with the number of people having to rely on food banks so thanks again to everyone who participated to help those in need. Commissionaires, along with Alberta Sheriffs, were recognized by the Alberta Legislature for the outstanding security services they provide. 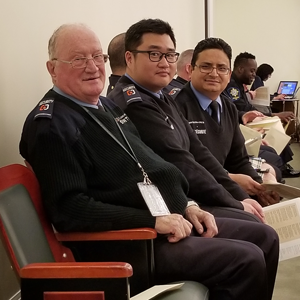 Our Legislature Detachment Commander JP Grimard (front) along with Commissionaire Jin Kim (2nd from front) and Commissionaire Bhuwan Panta (3rd from front) represented all Commissionaires assigned to the Legislature. This was the first time ever that security forces were formally recognized. 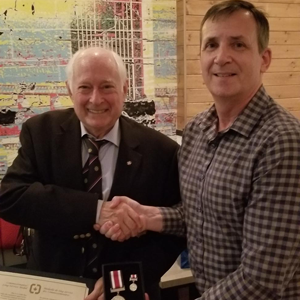 Honourary Lieutenant Colonel Solomon Rolingher, KStJ, AOE,QC (left) retired from the Commissionaires Northern Alberta Division Board of Governors and received his Commissionaire Long Service Medal from Chair Greg Findlay (right). Sol spent twelve years on the Board and served as Board Chair from 2014 to 2017. Thank you for your commitment and service to this organization, Sol! 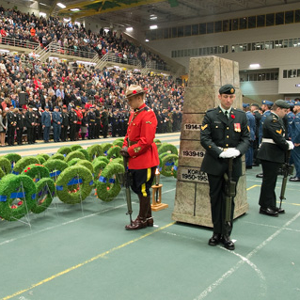 Several thousand people gathered at the University of Alberta Butterdome on November 11, 2018 to mark Remembrance Day 100 years after end of First World War and pay tribute to Canadians who have lost their lives in military conflicts. Here are a few photos from this special day. In the days leading up to and including November 11 there are numerous ceremonies and activities, large and small, that take place in Edmonton to commemorate the ultimate sacrifice of those who have fallen in the service of our country, and to acknowledge the courage of those who still serve. Since 2012, Commissionaires Northern Alberta Division has taken a lead role in helping to bring one of those events, Edmonton’s largest Remembrance Day observance, to life. Here’s a look at what goes into preparing for the ceremony that takes place at the University of Alberta Butterdome and what it means to Commissionaires Northern Alberta Division to take part. Read the article. 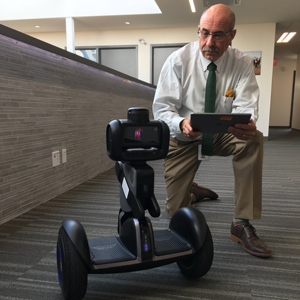 In a recent article featured in the September/October 2018 issue of Canadian Security magazine, CEO John Slater explains why technology is so important, and how the new robot he’s just purchased will augment and add value to the security services Commissionaires Northern Alberta Division provides to its clients. Read the article. 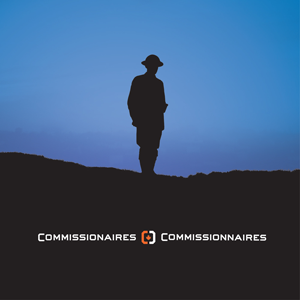 In a recent “Beyond Service” veteran recruiting campaign, led by Commissionaires’ National Office, we are pleased to be able to showcase some of the outstanding veterans who work for Commissionaires Northern Alberta Division. 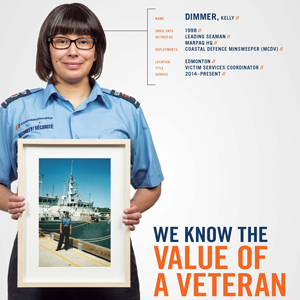 Meet some of our veterans featured in this campaign. 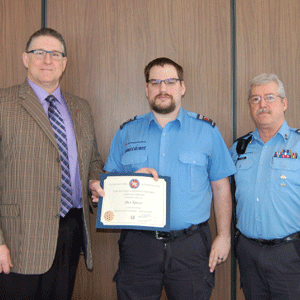 While on duty, this Commissionaire’s calm, quiet intervention helped save a life. Read the story. On Friday, April 13, 2018, more than 215 Commissionaires came together at the Annual Awards Banquet to recognize the efforts of their colleagues and share this special occasion. As Honourary Patron of the Commissionaires, Alberta’s Lieutenant Governor the Honourable Lois E. Mitchell was in attendance. Check out the photo gallery. Commissionaires Northern Alberta Division Headquarters office staff wore jerseys to honour those who were affected by the Humboldt Broncos tragedy #HumboldtStrong.